Home Features HOW DEEP IS YOUR SQUAD? The old football cliché that the Premier League is a marathon not a sprint is being bandied about by United, Arsenal and Liverpool fans desperate for some positives as they watch Chelsea’s blistering start to the season. But a fast start never did anyone any harm and Chelsea’s early season form has set the Blues up for a real tilt at the title this season. Saturday’s tie against Wolves on the face of it looked a banker home win but with a squad lacking five first team players it could have been tricky. 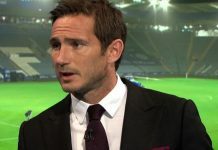 However there was no trouble as the Stamford Bridge crowd were treated to three goals inside the opening 20 minutes as a first eleven devoid of Michael Ballack, Deco, Ricardo Carvalho, Frank Lampard and Didier Drogba mauled Wolves 4-0. The stellar performance served to highlight one of Chelsea’s biggest strength this season; squad depth. While a weakened Liverpool struggled against Manchester City and an injury-struck Arsenal floundered against Sunderland, the Blues were rampant. Granted, Wolves aren’t the best team in the world, and they performed particularly poorly with the highly-rated Hennessey having a day to forget in goal but Liverpool have dropped points at home this season against seemingly ‘easy’ opposition. But when any team can call upon back-up players such as Brazilian internationals Alex and Belletti, also a Champions League winner, it would be foolish to bet against them lifting the Premier League trophy come May. Many pundits and opposing fans are praying for January to come when Chelsea will lose Michael Essien, Salomon Kalou, John Obi Mikel and Drogba to the African Nations Cup but on this display, any gaps will be plugged with ease. If you look at the squads that took to the field for Liverpool and Arsenal, they really missed key players. No Torres for Liverpool meant youngster David N’Gog led the line alone against big spending City. Arsenal desperately missed Robin van Persie with Andrey Arshavin only able to play the last half hour. As for Chelsea, Salomon Kalou, Florent Malouda and Nicolas Anelka proved there is life after Drogba and Essien’s more advanced role in place of Lampard provided two goals for the Ghana star. Even Carlo Ancelotti found time after the match to recognise the strength in depth of the squad. And what of the youngsters? Fabio Borini made an appearance and is an extremely promising striker having netted goals in the reserves. And when Gael Kakuta stepped onto the pitch to make his well documented debut there was a huge weight on his shoulders. And he didn’t disappoint, having the audacity to take players on and striking a long range effort that was not far wide. The pace and trickery of young Kakuta brought to mind Arjen Robben on his debut off the bench against Blackburn where he produced some electric runs that whetted the Chelsea fans’ appetite. There is optimism around Stamford Bridge that whilst the title race is a marathon, Chelsea may just be able to keep the early season pace up throughout the season and leave the rest of the ‘Big Four’ in their wake.